The Psychology Department Lecture Series, supported by the Faculty Speakers Committee, kicks off next Friday, Oct. 5, at 11 a.m. in Browning Hall Auditorium. Andrea Lynne Taylor will present her lecture "Turning the Tide of the Missouri Opioid Crisis." Andrea Lynne Taylor, PhD, ABPP is a Supervisory Clinical Psychologist, and Clinical Director of the Opioid Addiction Treatment Program (OATP), at the St. Louis VA Medical Center. Since 2011, Taylor has worked at OATP providing preventive, assessment, and treatment services to veterans in the region, in effort to help turn the tide of the opioid crisis. 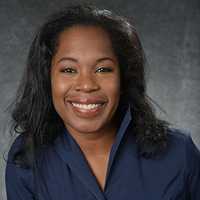 Born and raised in St. Louis, she returned to the area in 2009 after a quarter century on both coasts engaged in educational (Stanford, NYU, Rutgers) and career (NBC, Goldman Sachs) pursuits. Nov. 19, 10 a.m. – Emily Cross: "Perceiving and Interacting with Artificial Agents: Insights from Social Neuroscience"
March 28, 10 a.m. – Morgan Grotewiel: "FLOW: Optimal Arousal for Optimal Performance"